Care Flight, headquartered out of Reno, also serves the Truckee-Lake Tahoe area. TAHOE CITY, Calif. — In an effort to enhance airborne emergency service access to the North and West shores of Lake Tahoe, a landing pad for helicopters is on its approach to Tahoe City. Slated to touch down on the Tahoe City Golf Course, pending approvals, the 60-foot-wide concrete heliport would be available only to emergency service providers. 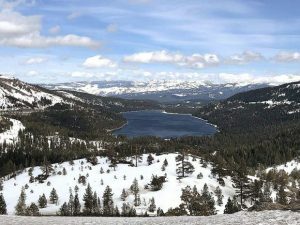 Last week, the Golf Course Oversight Committee indicated it is favorable to the project plan that the Truckee Tahoe Airport District has drawn up. The heliport would be available at all hours, year round, with frequency of use anticipated to be “sporadic and based on need,” said Kevin Smith, general manager for the airport district. Based on that, along with the heliport’s placement — off of Fairway Drive, above North Tahoe Fire Protection District Station 51— noise disturbance isn’t expected to be an issue, Smith said. Should noise become an issue, however, the district will look into modifying and altering operations, he said. Agencies that will have access to the heliport include Placer County Sheriff’s Office, Care Flight, California Highway Patrol, U.S. Coast Guard, Cal Star and regional fire districts. Uses could include medical evacuation, search and rescue, and large-scale emergency — fire or flood — situations. “I think it’s a tremendous safety improvement for the area,” said Smith, adding that quicker response times could save lives. Up until now, emergency service helicopters have used the golf course or cleared roadways and parking lots to land, he said. 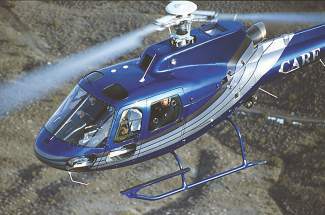 Private recreational or commercial use of the heliport will be prohibited. To ensure that, the heliport will not be marked on maps for pilots as a possible landing site; a sign at the facility will indicate it’s only for emergency service use. Should a non-emergency service use the helipad when the aircraft is not in distress, the airport district will provide issue a warning. The FAA will get involved for a second offense. The airport district is preparing an application for the project, with the goal of submitting it to the Tahoe Regional Planning Agency for review next month. If approved, the project would be put out to bid, with the hope to award a contract in summer 2016 and for construction to start late summer, early fall, Smith said. Construction could take two to two-and-a-half months, with completion aimed prior to the close of the TRPA grading season Oct. 15, he said. It’s estimated to cost between $275,000 to $300,000, with funding coming from district reserves. An additional maintenance cost, which is estimated at less than $5,000 annually, will be covered by airport district reserves, Smith said. Once constructed, the heliport isn’t anticipated to interfere with golf course operations, as it’s on the fringe of the property, he said. 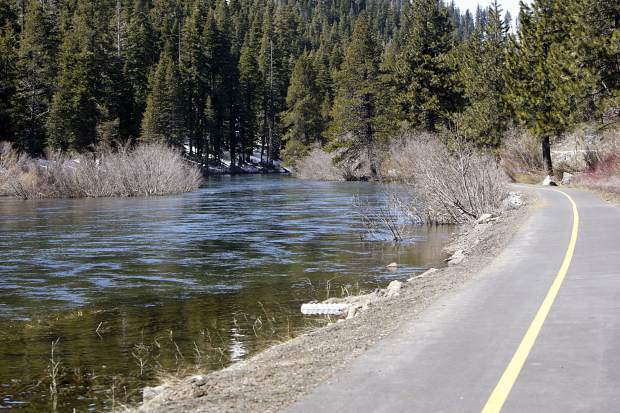 In 2012, the airport district, Tahoe City Public Utility District, Placer County and North Lake Tahoe Resort Association pooled their resources to buy the Tahoe City Golf Course for $4.7 million. 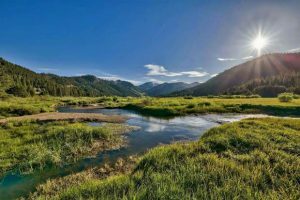 Officials hope to use the golf course to enhance opportunities for safety, open space, economic vitality, community character, conservation and recreation.